London, September 3rd, 2013 – Gaming platform provider EveryMatrix and Euro Games Technology Ltd (EGT) today announced a new partnership whereby EGT game content will be seamlessly integrated with the EveryMatrix CasinoEngine and unified bonus and FPP allocation. EveryMatrix is constantly seeking to increase its casino offering and with the signing of EGT have managed to significantly improve its offering towards offline operators in the region looking to add an online presence. The new co-operation coincides with both EGT and EveryMatrix exhibiting at the up and coming land based gaming show, Entertainment Arena Expo, taking place in Bucharest, Romania, from 3rd to 5th September. EveryMatrix CEO Ebbe Groes said: “We’re happy and proud to announce this signing at the eve of the Bucharest Gaming Show where both EveryMatrix and EGT are present to showcase their products. With EGT present in our CasinoEngine we can provide a perfect mix of casino games from the strongest offline players alongside the best of the pure Internet gaming providers, giving players best of both worlds”. 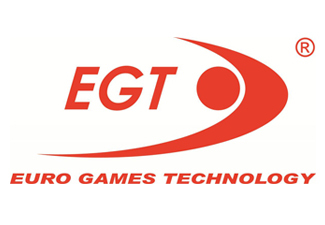 Founded in 2002 and headquartered in Bulgaria, Euro Games Technology Ltd (EGT) is a leading gaming manufacturer worldwide. The company specializes in the design, development, manufacturing and distribution of a diverse range of gaming products. EGT’s total commitment to excellence combined with a strong focus on the latest technological trends has made the company a highly valued player on the international gaming field.